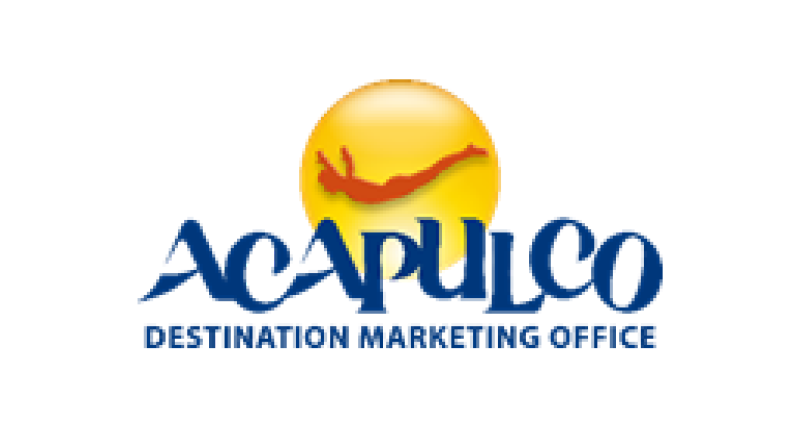 Acapulco tourism authorities have confirmed that the destination remains strong and is determined to continue working hard as it celebrates the confirmation of the 2019 Tianguis Turístico, Mexico’s most important travel trade show. The announcement was made during the 43rd edition of Tianguis Turístico in Mazatlán, Mexico. Several new developments were also revealed at the event, including Acapulco’s newly expanded General Juan N. Álvarez International Airport, which officially opened this week. The expansion will allow the iconic beach resort to welcome a growing number of visitors from various parts of the world. Among the most noticeable aspects of the new airport expansion is its vast size: it is now 19,000 square meters or 204,514 square feet in area, an increase of 7,000 square meters or 75,347 square feet over the old airport. The new terminal features an eco-conscious design that aims at reducing environmental safety, while the latest in airport technology enhances the experience and security of travelers to Acapulco. Visitors are now also greeted with an expanded array of restaurants, cafes and artisan shops to buy locally made Mexican crafts, as well a selection of stores selling liquors, wines and other alcoholic beverages. The modern construction also takes in the latest advances in earthquake and hurricane resistance. During Tianguis, Acapulco also announced major development plans including the $8 million-dollar renovation of the Traditional Zone consisting of a refresh to the historic town square, La Quebrada, La Roqueta and the Museum of the 7 Regions, new lighting and video mapping of San Diego Fort and updates to the boarding and disembarkation areas of Caleta and Caletilla beaches. Additionally, the soon-to-be launched airport expansion and the recent inauguration of the second floor Tlalpan Viaduct reducing the journey from Mexico City to Acapulco, will help positively impact the influx of visitors to the destination. Grupo Autofin’s “Master Plan” is continuing to advance with major enhancements of the iconic Pierre Mundo Imperial and Princess Mundo Imperial, as well as the following new developments: Spa Tlalli, Turtle Dunes Golf Clubhouse, Gourmet Beach, Hotel Prince by Mundo Imperial, Hotel Marqués Boutique, Residences and Luxury Condominiums, Hotel Boutique Only You, Diamante Retirement Homes, Princess Medical Center, Premium Shopping Center, an eco-amusement park called Aventura Guerrero, a new tennis stadium, security towers, and Princess University. These projects are expected to be completed between through 2022. Similarly, the Gran Plaza Hotel Acapulco, located on Costera Miguel Aleman Avenue, began a $8.5 million-dollar renovation to be executed by 2019. The project consists of the remodeling of its event spaces, guest rooms, public areas, modernization of elevators, state-of-the-art technology. The destination’s improved infrastructure and record-breaking visitors this past year is a testament to Acapulco’s commitment to growth. During this year’s Holy Week and Easter Weekend from March 25 – April 1, Acapulco welcomed 487,573 tourists and recorded 74.1 percent hotel occupancy rates. Mexico’s original beach destination, Acapulco is located in the state of Guerrero, Mexico, on the Pacific Coast. Situated on a deep bay with sunshine, balmy temperatures and warm seas year-round, its golden beaches are ideal for relaxing, swimming and enjoying an array of water sports, while the city itself offers history, culture and legendary glamour. The landmark Fort of San Diego dates to the colonial era, and the fully restored, star-shaped fortress, is home to the acclaimed Acapulco Historic Museum. La Quebrada is the place to watch Acapulco’s world-famous cliff divers, whose daring feats are as popular – and thrilling – today as they were 82 years ago. Acapulco has a dynamic dining scene, whose innovative chefs combine Mexican culinary traditions with global inspiration when preparing the finest Pacific seafood complemented with fresh and local ingredients. All of this and more make Acapulco the must-visit beach destination in Mexico.